Figuring out how fast or slow a bass wants your lure takes some trial and error. 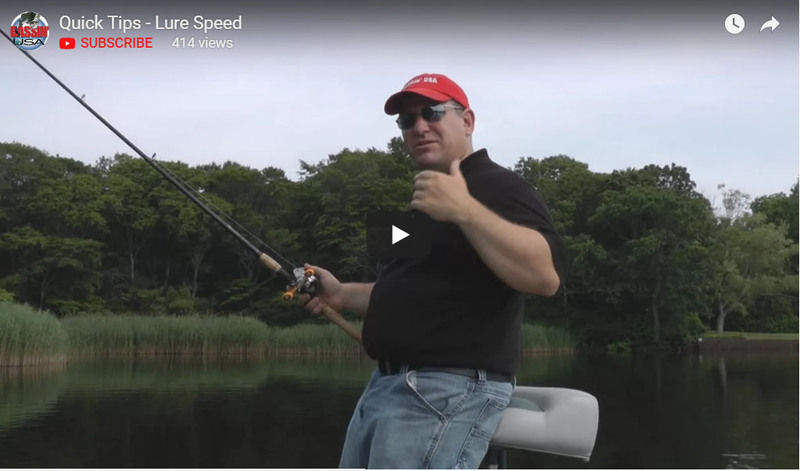 When searching for bass on any body of water, start fast. I like to begin with a quicker moving presentation regardless of whether I’m using a crankbait, spinnerbait, jerkbait or jig. You want to locate active bass if you can quickly. The option is always there to slow down your presentation as you cover water. Try starting fast and then slowing down a little at a time until you get a strike. This process will help you get on fish much quicker than slowly dragging a lure around waiting for a bite. In this video, Brendan C. shows you how to rig soft plastics on a Shaky Head Jig and teaches you the basics of Shaky Head Fishing. When fishing gets tough, a Straight Tail Worm rigged on a Shaky Head Jig is a great option to help you put some bass in the boat. The Shaky Head Rig is a must have if you’re fishing as a non-boating or co-angler. Its subtle stand up quivering action makes this finesse technique one of the best for finicky bass. Drop shotting in the post spawn is a great way to catch bass that are around blue gill beds or guarding fry. It also makes for a great follow up bait when you’re fishing topwater lures shallow. Here’s some drop shot fishing tips that will help you make the right presentation at this time of year. We also tested out the brand new Keitech Leech, a killer 3″ drop shot bait that can be rigged two different ways.